Support | Forestry Suppliers, Inc. CAUTION! As with all packing materials, PakNatural pellets can pose a choking hazard. Keep away from children. Relax! Your order is protected by PakNatural Loose Fill! This all-natural non-food renewable packing material solves two very important problems: It protects your shipment while protecting the environment! 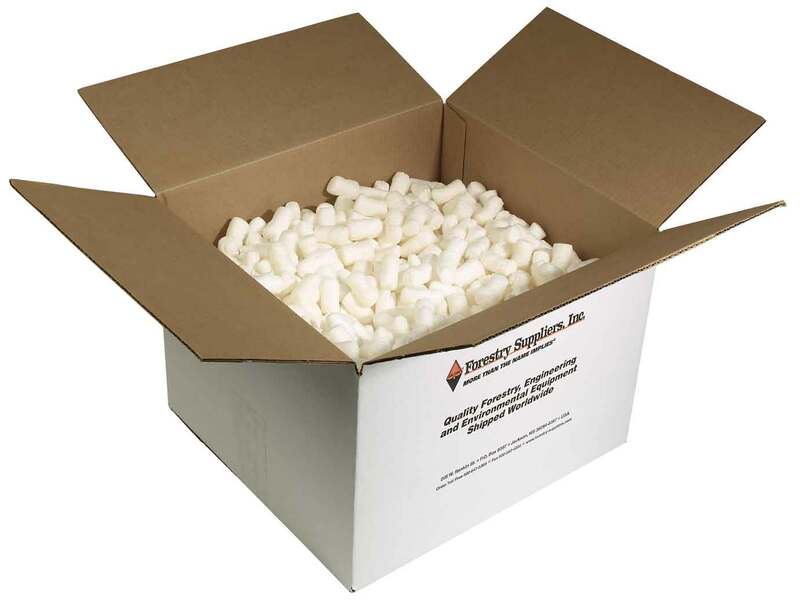 PakNatural Loose Fill pellets work just like styrene "peanuts" by cushioning items and filling the voids in the box. PakNatural pellets are derived from natural ingredients which are harmless to the environment, and dissolve when expoesed to water or rain. They can even be composted with other organic materials and used as a high-quality humus. Try it yourself! Drop a pellet in water and watch it disappear. Or re-use them in your next outgoing package - They're durable enough to be used again and again!